[Resolved] How to Fix Micromax Funbook P300 Tablet Battery Problem? Many users reported problems with the battery of Micromax Funbook P300 Android Tablet. The tablet shuts down without any warning when the device is running on battery with 20% to 50% power remaining. From my experience the problem is found to be with the battery calibration and not with the actual battery. Continue reading to learn how to fix the battery problem with Micromax Funbook tablet. No doubt, Micromax Funbook is a descent tablet for its price, a must have device for students. With thousands of free applications available on Android Market(now known as Google Play), buying a tablet is not a waste of money. The only negative remarks about this device is its display(not that bad but only if you compare with highly priced tabs like Apple iPad and Samsung Galaxy tab) and slow internet browsing(but I found a way to resolve this, I will be writing a blog post soon - see update 3 below). Let us come back to our topic, the battery issue. Initially my funbook was giving proper warning when it reaches 15% but one fine day it suddenly went off when it had 30% power remaining. I did some research on the internet and found some battery calibration applications. Installed some and re-calibrated my battery. Few of the applications failed but one named 'BatteryCalibration' (link below), available in the Android Market, successfully re-calibrated my battery. Now my tablet works until I have 2% battery remaining! Feel free to post your questions or comments on your Micromax Funbook tablet here. Update 2: Make sure to discharge your battery and then re-charge 100% after calibration without break. This is important. Update 3: Are you facing slow browsing speed or laggy browser on your Funbook, read my blog post Slow Browsing Experience in Micromax Funbook. i face the same problem in funbook of automatic shut down at 50 percent batery..it jas hapened after 10 days i buyed it. frm several ppl got 2 knw therz problem in software made for funbook.. so i just find a solution of battery automatic shut off..i am using now funseries rom v 2.1 .it is a modified rom by sm ppl for funbook... n nw m using it n performance is gud . n battery nw shut off till it gets to zero. n battery backup is 4 hrs. but there is 1 prblm tht on main screen if u choose smrt screen dislay the title of apps goes invisble. rest all is fine. herez the link u can download frm there -http://forum.xda-developers.co...hp?t=1667129 download version 2.1 itz gud..rest u can select accrding ur choice but in rest battery backup is 3 hrs.. read flashing procedure b4 installing in ur funbook.. if u dnt install it properly it can harm n i m in no way responsible for it..if u follow same as told all will get rite..so gud luck.. njoy ..
but if I use a custom ROM, what would happen to the warranty? Micromax funbook is pre-rooted, hence this trick works on this device. You will have to root the device before applying this fix. can someone please tell me a step by step guide how to do battery calibration. i am so techno friendly, besides the warranty period is still on, hope it will not be a problem if i show it at service centre. updated the article with link to the battery calibration app. try and let us know the result. Remember, you may loose the warranty if you apply custom ROM, I strongly recommend you to take your device to the service centre and if nothing works out upgrade the ROM. Let us know how it goes. ok, what i tell to service center "replace battary+charger"right? again its not a battery or charger issue but a software glitch. you can test this by charging your tab for 5 hours continuously, you should be able to use the tab for 5-6 hours(forget the battery indicator). any battary indicator apps (true information app)? @manher sir, any battary indicator apps (true information app)? Can we use the tab, till the battery goes to 30% after calibration ?? Yes, if the calibration was successful. You will get a normal battery low warning when the power reaches 15%. @manheri sir,now am in funseries 3.0(battary problem solved)but in that rom battary is poor . so whic rom is good for me (conditions-long battary life +no bugg)? i've installed ROM manager from google play store in my funbook..is it same as funseries? if not, which one should i use? I HAD SAME PROBLEM. GIVEN BATTERY FOR REPLACEMENT AT SERVICE CENTRE. 15 DAYS PASSED TILL NOW AND THEY ARE SAYING ANOTHER 15 DAYS WILL GO TILL I GET BATTERY. PLEASE DONT BY THIS FUNBOOK THEIR SERVICE IS PATHETIC. Does tata photon work on custom rom? I tried battery calibration as instructed, but it still shuts down at 80%. Please help if anything else can be done to resolve this issue. Just bought funbk pro,cant swtch it on.Gets on only whn cnnctd to a chargr,whn chrgr rmvd,gets off.Bt battery shows chargd 100%.Plz help,what is wrng? Plz help,is it battery problm or manufacturing defct.Even whn chargin,battery shows chargd 100%.Bt still it cnt be swtchd on whn nt in chrge. Ipshita9, charge it for 3-4 hours and try. I have tried this battery calibrator, but there is no no difference in the performance, mine one is getting down when 80% juice remaining in it.Please advise what to do? I have tried by charging it overnight but even then when i am removin charger,its getting off,but on the othrsde battery when connected to charger shows chargd 100%.I purchasd frm ezone online,it took 1mnth for thm to deliver to me day b4 yestrday that too a defectv piece.Their invoice doesnt hv the IMEI no.,will the micromax company accept it 4 servce.Plz help any1. 1800-209-5001 which I got from a different website, they might have removed it because of tooo many complaints! Never ever buy products online where there is no toll free number available to contact the customer care. @sunil thankyou.Bt I dnt thnk ezone vil hlp me,i calld thm n lodgd a cmplnt bt they didnt revrt on this.R micromax tab servc cntre reliabl?Will they help me coz it has manufctr warranty. Thankyou 4 d details n help @sunil.Actually I had once gvn my micromax ph 4 repair n it took more than a mnth 4 thm to repair,are their ph n tablet servce cntrs r same?My ph was snt to Delhi for repair,vil the tab b snt to their delhi servc statn too.I hope they solve the problm,thanx again. Hey my tablet doesnot get any change after calibrating. After calibrating also, ICS OS shows around 57%, but when i switch off and then connect the charger, the battery animation started from say 10% ? What can be done without going to service centre & using custom ROMs. Sir can u post step by step instruction with ROM manager details and snapshots. It will help us a lot. Did the calibration according to instructions. Still no dice. Tablet shuts down around 60%. Obviously the app doesn't app or it works for very few select people. I don't want to take it to service center as it will take over a month I'm sure. There's gotta be a way to fix it ourselves surely. Afterall its only software problem. Can't any of the IT geniuses in India figure something out? Should never have bought this tablet. Couldn't resist the price but now I know its cheap for a reason. My micromax funbook HDMI to TV out is not working. Is there is any settings to access? This trick worked for myself and many other users, if its not working for you doesn't mean this is not a solution to the problem! You may try custom ROM CyanBook v0.4f as mentioned by other users. i have sam battry shut down problem in 35% & i m also installled battery calibration but it say root the device first what can i do 4 root the device in my micromax funbook p300? Rooting gives root access, thus the system files could be modified. 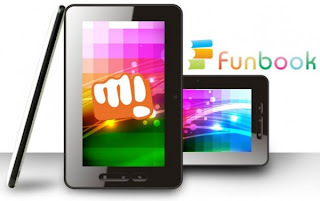 You can find many resources on how to root Micromax Funbook, just Google "rooting micromax funbook", links from xda-developers are reliable. Please note that rooting your device may break the warranty. LOL, my funbook went off at 98%!!! Thanks for your posts. I have a problem with applications downloaded from google play. After reset, all downloaded applications are missing. Can you please support with your expert advice? I have a P300 but not sure even after hours after charging it shows 100 % but in less than 5 miniutes it shutsdown. Can somebdoy tell me is it a s/w glitch or do i need to change the battery. my funbook is like PC...without cpu.....lol...cnt use widout "ELECTRICITY"....CHEAP PRODUCT CHEAP PERFORMANCE"
My tab shutdown at 65 % please give solutions for issues. I can't understand previous Blogger please give the procdure step by step guide. Having battery problem charge it through usb problem will solve.